pillows, and some snazzy new hardware. You've decluttered and cleaned. Now it's time to add some razzle-dazzle. 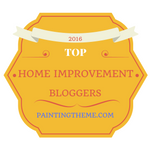 Here are my ten favorite staging products that make big impressions. Add some sparkle to your kitchen with a set of five cute, inconspicuous, wireless puck lights under the kitchen cabinets. For about $46 your kitchen work areas will look larger, cleaner, and more modern. These lights have three settings. Set them on high when your house will be shown. Each light uses three AAA batteries, good for 60 hours. Find them by following this link for Lamps Plus, or at local home improvement stores. 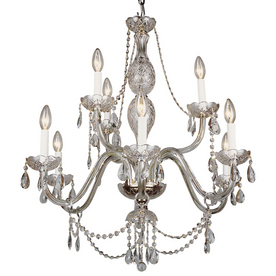 For unsurpassed glamor, nothing beats a crystal chandelier. You may think your home's style doesn't support this kind of old world lighting fixture, but you could be wrong. I once sold a modest house to a woman who later told me that as soon as she saw the crystal chandelier in the dining room, she knew she wanted to buy the home. Old homes, new homes, small homes, big homes, all get a major dose of high style from a lighting fixture like this. The pictured model is from Lowes and sells for about $380. You could go lower, or you could go higher in price, but you will impress. Try it in a bedroom or a hallway. 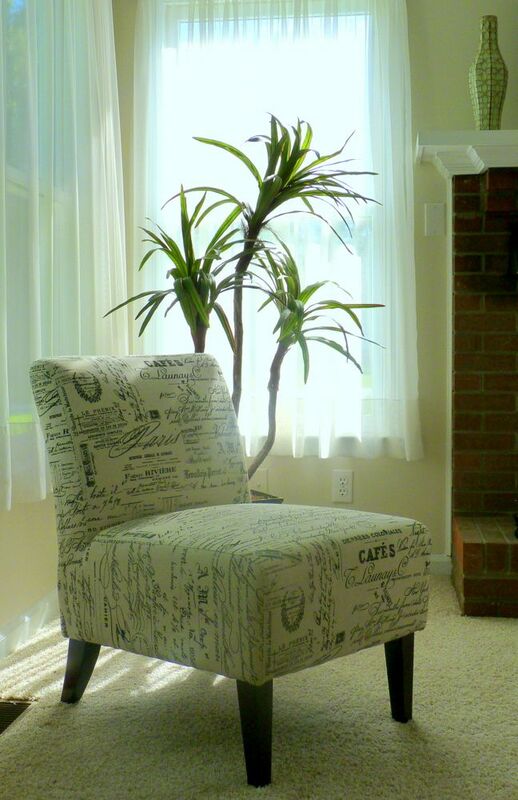 Whatever money you spend on a giant plant in your staged home will be money well spent. You can go for faux, or you can invest in something that will take some care, but love you back. Look for something of quality if you go the fake route. An 8-foot tall bamboo plant costs about $250 from places like Target and you will have it forever, looking as fresh as you please. Plop it into a large planter or set it on a stand or low table to make it even more wow! When a room has really nothing special to recommend it, it's time to bring in an area rug. Spread one at the foot of a bed, or under a dining table and chairs, or in front of a sofa and club chair, and you've anchored the whole room. 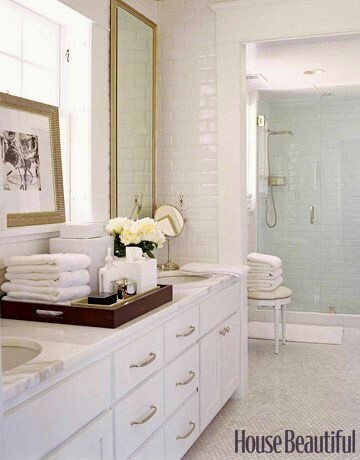 It needn't be special -- nothing antique or hand tied or one-of-a-kind. Shop the discount stores. Along the same lines -- underfoot -- you'll get a home viewing off to a great start by laying a real welcome mat out front. Down with meager mats, and up with something all statement-like. Overstock sells them for less than $100, but check local sources, too. Are you wishing your kitchen had stainless appliances? You can give your white, black, or other appliances the look of stainless with a product called Liquid Stainless Steel. It's paint made from actual stainless steel powder suspended in a water-base clear finish that dries as hard as an automotive finish. I have not used this product, but my research tells me the results are very good. No one is having any problems with it. Cleanup is with soap and water. If you have a weekend and $150, you could convert the surfaces of a dishwasher, stove and refrigerator to stainless. they do add another layer to a simple seating are, making it look more colorful and interesting. I'm a huge fan of pillows, and if your home is lacking some, you are missing an opportunity to perk up your space. Pillows will unify a color scheme, soften the feel of a room, make mismatched furniture look perfect together, freshen up an outdated room, and add that special decorator detailing that upgrades a room and makes people want to linger. Buy them in pairs for a classic look. 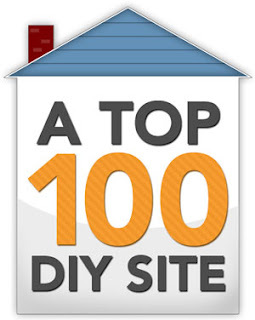 My eBook for DIY home staging tells you how to make your own for pennies (or less!). Another high impact purchase for a living room is slipcovers.The ambitious will sew their own, the wealthy will commission custom tailored, and others will order adjustable versions online. Surefit brand always looks good. A cover for a standard size couch will set you back about $60, and a large upholstered chair about $40. And you can make them match! Money spent on slipcovers is like money in the bank. a small but important part of what makes this bathroom appealing. One of the easiest ways to give your whole house a fresh, contemporary look is to replace brass hinges and door knobs with polished nickel. Figure about $20 average per door for new interior door knobs. Hinges will cost less than $8 per door. The only trouble with adding these luxury touches to your home is that you'll hate leaving it when you sell. Relax! 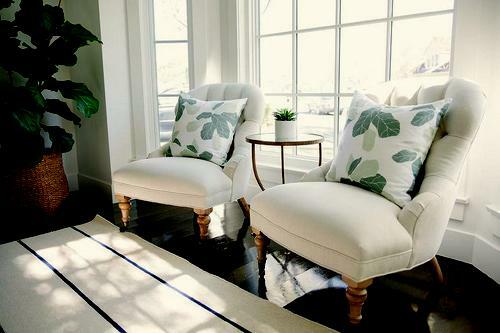 Plants and rugs and pillows and towels move with you when you sell your staged home.